As I noted just a few weeks ago, despite the recession, products marketed via infomercials are making bank. And while the trend applies to everything from Mighty Mend-It to the Ped-egg, few have proven as successful as the Snuggie. “The Cult of the Snuggie threatens to take over America!” USA Todayrecently proclaimed in light of the "blanket with sleeves" having sold over 4 million units in just a few months. 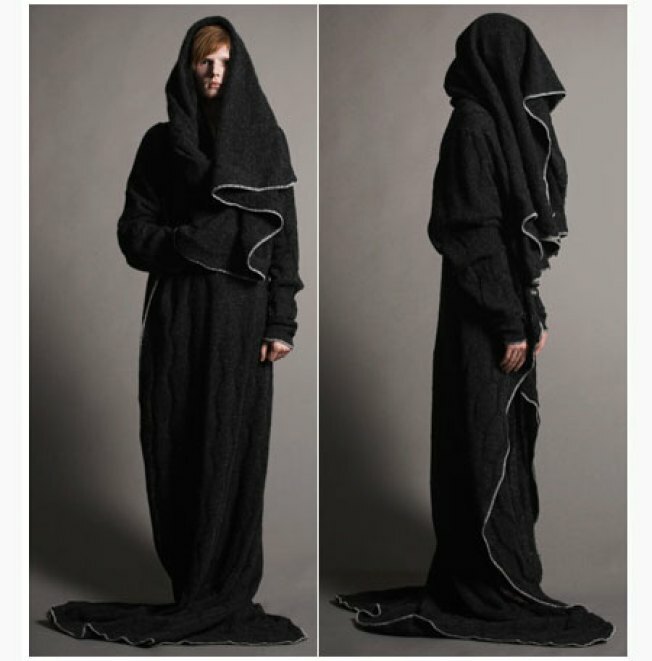 Thus, the recent push from fashionistas like Refinery 29 to find a significantly more sartorially savvy Snuggie alternative makes perfect sense. In a post this week, the aforementioned independent fashion website rounded up six stellar alternatives to the functional but far from fashionable Snuggie. Included in the mix were particularly eye-catching capes from avant-garde designers like Henrik Vibskov and MCQ (a diffusion line by Alexander McQueen), not to mention Grey Ant’s covetable “Knit Throw On.” But my absolute favorite Snuggie alternative comes from an entirely different (eternally envelope-pushing) source—that of Icelandic designer Sruli Recht. Called the Blankoat, Recht’s design is made wit the wool of Icelandic sheep—which, according to Recht’s site, are “descendants of the same stock as the Norwegian Spelsau ... Icelandic sheep have been bred unmixed for one hundred thousand years in bitter harsh environment.” To boot, “it is said no other wool in the world is lighter, warmer, more water-resistant or flexible—though it is rougher to touch and deafeningly warm.” Recht’s version even comes with a hood with which one can cover their face during especially cold encounters or Grim Reaper theme parties. Now that’s a Snuggie with a serious pedigree.